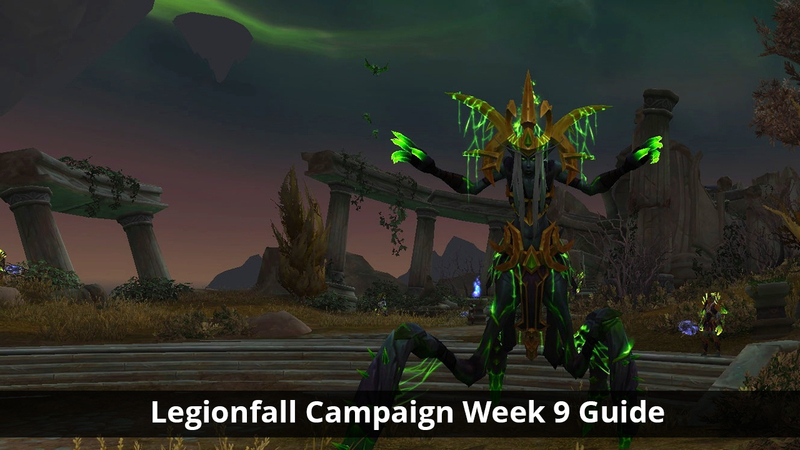 Legionfall Campaign Week 9 “Take Out the Head…” Guide Now Available! Tuesday, May 23rd, 2017 by Zygor (1 years ago). 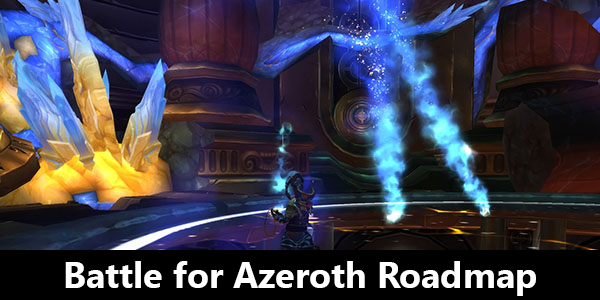 A new update is available that adds in this weeks new content for the Legionfall campaign. 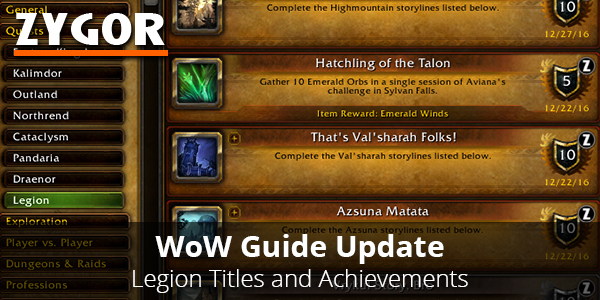 Guide Update: Legion Titles and Achievement Guides Now Available! Tuesday, March 7th, 2017 by Zygor (2 years ago). A new guide update is available (Ver. 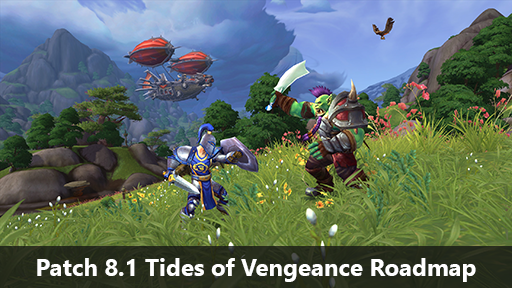 6.1.15476) for our World of Warcraft guides that adds in all the guides for Titles and Achievement guides for Legion. These guides had been available in our beta release, but have now been fully polished and moved to the live release of the guides. This update is available to all Zygor Elite members or customers who purchased the Legion upgrade to the standalone Titles and Achievements guides. Note: The standalone versions are bundled as Titles & Reputations, and Professions & Achievements and can be purchased inside the Members Area. Guide Update: Legion Battle Pets, Hunter Pets, and Mounts Now Available! Friday, February 17th, 2017 by Zygor (2 years ago). A new guide update is available (Ver. 6.1.15434) for our World of Warcraft guides that adds in all the guides for Battle Pets, Hunter Pets, and Mounts for Legion. These guides had been available in our beta release, but have now been fully polished and moved to the live release of the guides. 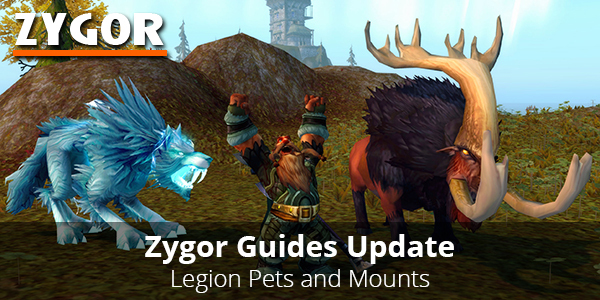 This update is available to all Zygor Elite members or customers who purchased the Legion upgrade to the standalone Pets and Mounts guides. Elder Scrolls Online Aldmeri Dominion Guide Fully Updated! Tuesday, February 14th, 2017 by Zygor (2 years ago). 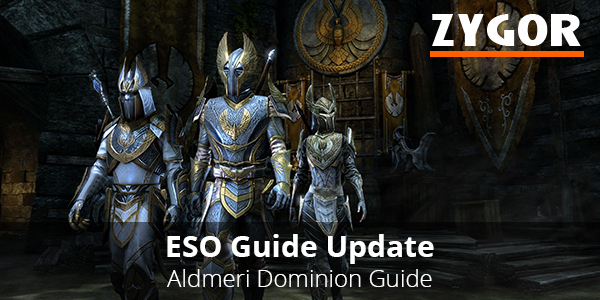 A new release has just been sent out for Zygor’s Elder Scrolls Online Guides that fully updates the entire Aldmeri Dominion Guides for recent changes made since the One Tamriel patch went live. This patch made it so you can now complete zones in any order you wish, and this huge guide update adds numerous fixes and improvements to all of the Aldmeri Dominion zones of Khenarthi’s Roost, Auridon, Grahtwood, Greenshade, Malabal Tor, Reaper’s March, and the cross faction zone of Coldharbour. The full list of changes can be read here: http://zygorguides.com/updater_eso/changelogs/. Our next release will update all of the the Ebonheart Pact zones which is the last faction that remains. Customers who own the standalone version of the ESO guides will receive the update as well. To update, simply run the Zygor Guides client, select the ESO section, and click install/update. Elder Scrolls Online Daggerfall Covenant Guide Fully Updated! Tuesday, January 24th, 2017 by Zygor (2 years ago). 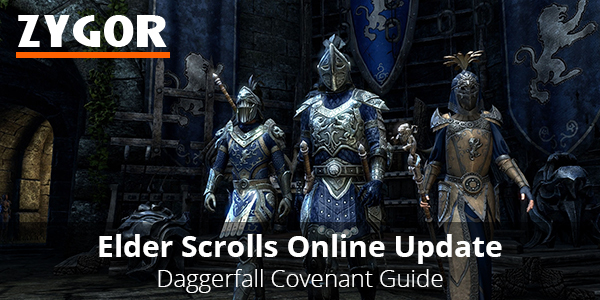 A new release has just been sent out for Zygor’s Elder Scrolls Online Guides that fully updates the entire Daggerfall Covenant Guides for recent changes made since the One Tamriel patch went live. This patch made it so you can now complete zones in any order you wish, and this huge guide update adds numerous fixes and improvements to all of the Daggerfall Covenent zones of Stros M’kai, Glenumbra, Stormhaven, Rivenspire, Alik’r Desert, Bangkorai, and the cross faction zone of Coldharbour. The full list of changes can be read here: http://zygorguides.com/updater_eso/changelogs/. Our next big release will update all of the the Aldmeri Dominion zones.